Our Century has already gone a long way to paying back the $145,000 forked out for him, having taken out the $200,000 Listed Lord Mayors Cup (2000m) at just his second outing for new trainer Kim Waugh. 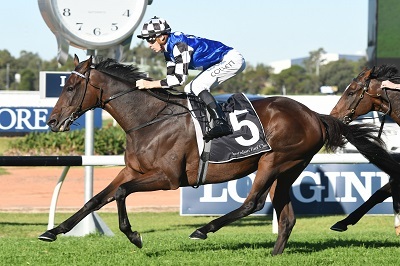 The seven-year-old stayer was bought from Lloyd Williams, along with Goathland, who has already won himself for Waugh, and after an encouraging return over 1400m a fortnight ago, Our Century simply proved the superior stayer out to 2000m. The wide draw tempered Waugh’s confidence somewhat going into the race but she knew he was a horse thriving in his work so the win came as no surprise. “I didn’t want him three deep being second up 2000m but he was three deep for half the race! When he got across I thought he’d done a bit of work but what a strong win,” she said. Punters knew what they were doing backing Our Century in from $19 on Wednesday with TAB Fixed Odds to jump $9. Our Century will now head to the Listed WJ McKell Cup (2400m) on May 26 at Royal Randwick before tackling the Brisbane Cup. Nettoyer, meanwhile, ran another teasing race for punters running into third but was left without any excuses. “I thought she had every chance to be honest,” said jockey Brenton Avdulla.